Jarrod Hodgson is an ecologist at the University of Adelaide. He has extensive experience in the application of remotely piloted aircraft (RPA, drones, UAV) for biological monitoring in tropical, temperate and polar environments. 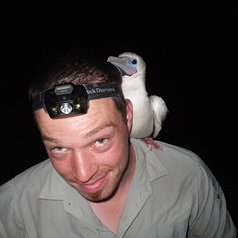 Jarrod's interests include marine and island ecology, as well as invasive species management and conservation biology. See www.jarrodhodgson.com.au for more information.